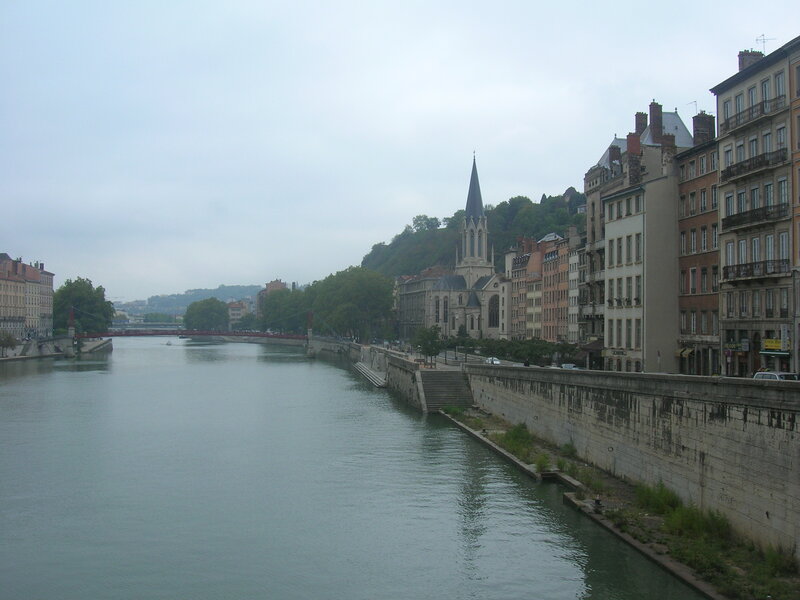 Anyone who loves French food, or loves to eat in general, has probably heard of Lyon. 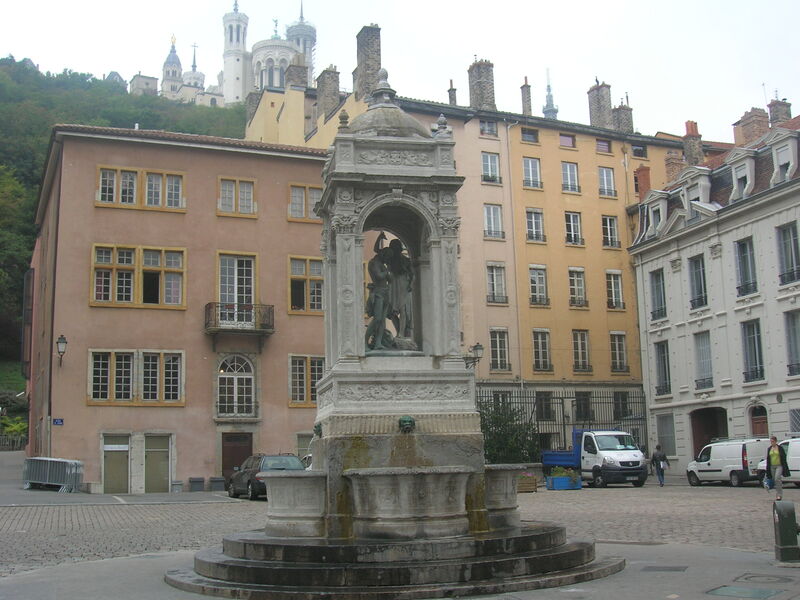 Lyon is France’s third largest city and is recognized as the capital of gastronomy. The famous international chefs competition, Bocuse d’Or (otherwise known as the Olympics of cooking), was recently held there. Sadly, the top three spots didn’t go to a French chef but to a Danish, Swedish and Norweigian chef. Those Scandinavians really are on top of their culinary game. 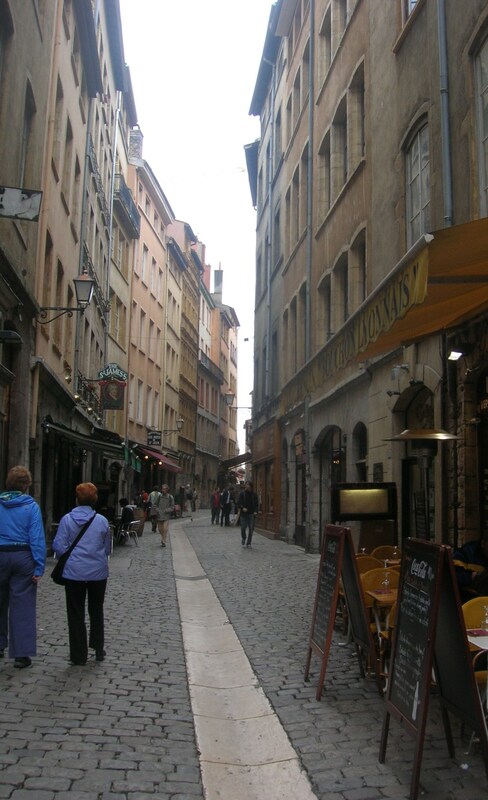 I decided to go to Lyon for its history, walkable and pretty neighborhoods and of course, the food. 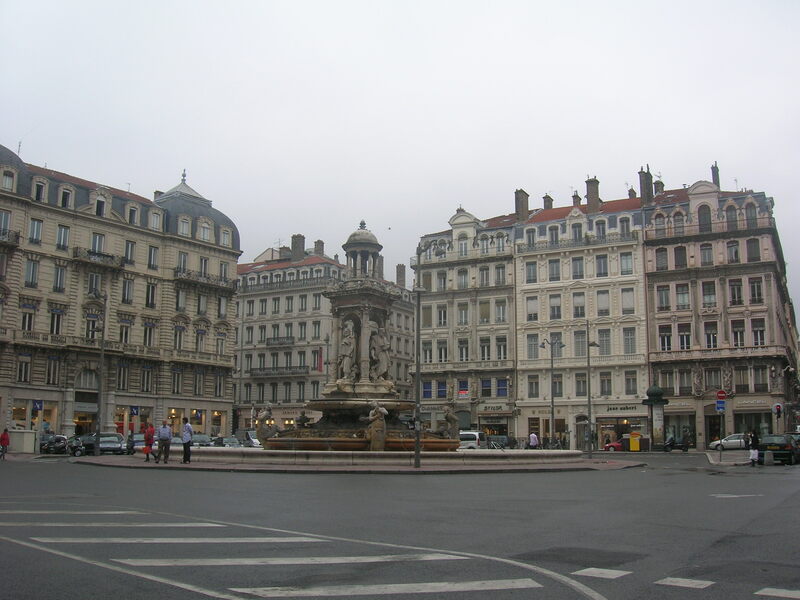 In between Paris and Aix-en-Provence toward the coast, Lyon is a bustling city split by the rivers Saone and Rhone rivers, which meet together at the southern end of the city. 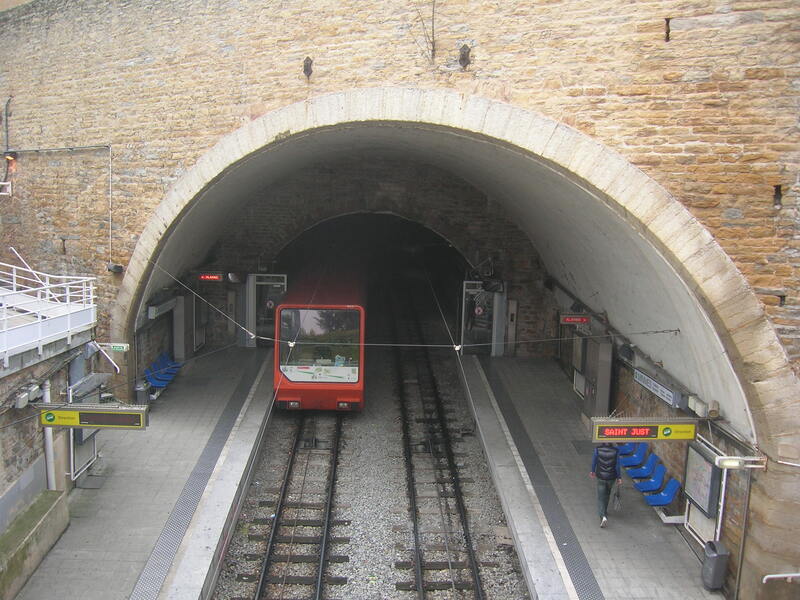 To the west of the Saone River is the medieval old town, 18th and 19th century classical France is in the middle and east of the Rhone river is the suburb. It’s like three cities in one. 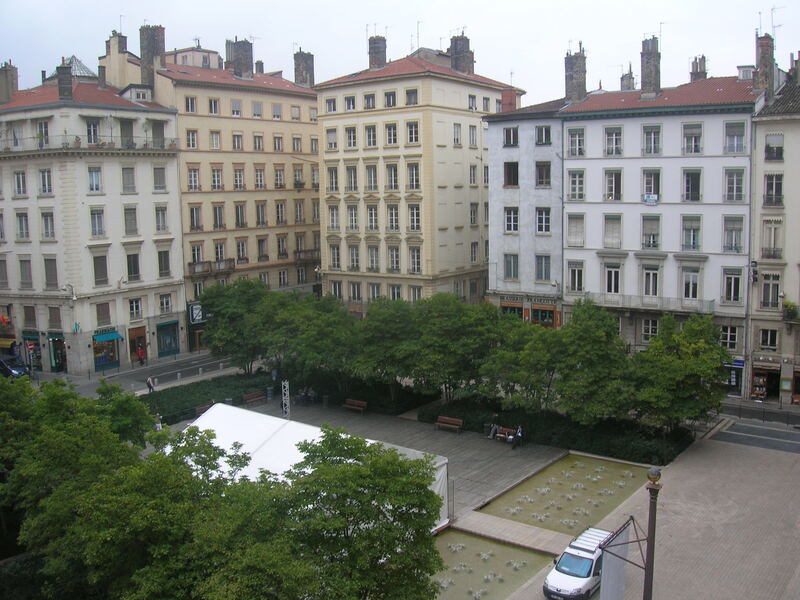 We booked a room at the Hotel du Theatre, in the middle of Lyon, which was perfect for our needs. The room was very roomy with a big bathroom and an old fireplace, decorated simply and pleasantly. 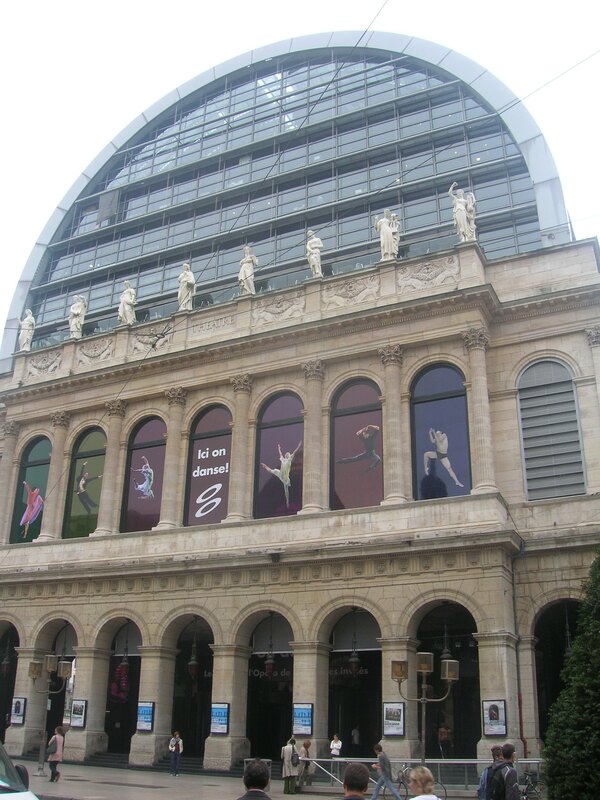 The best thing was the view, overlooking the Place des Célestins square in front of the Théâtre des Célestins. 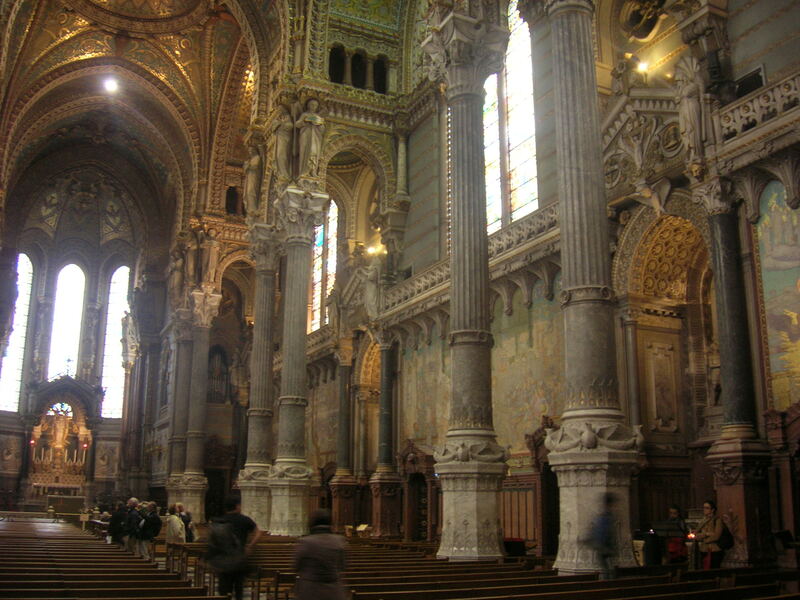 To our right was a view of the Basilica of Notre-Dame de Fourvière, which sits on top of a hill. There was no elevator and the breakfast was kinda stale but the room, view and location was excellent for the reasonable price. 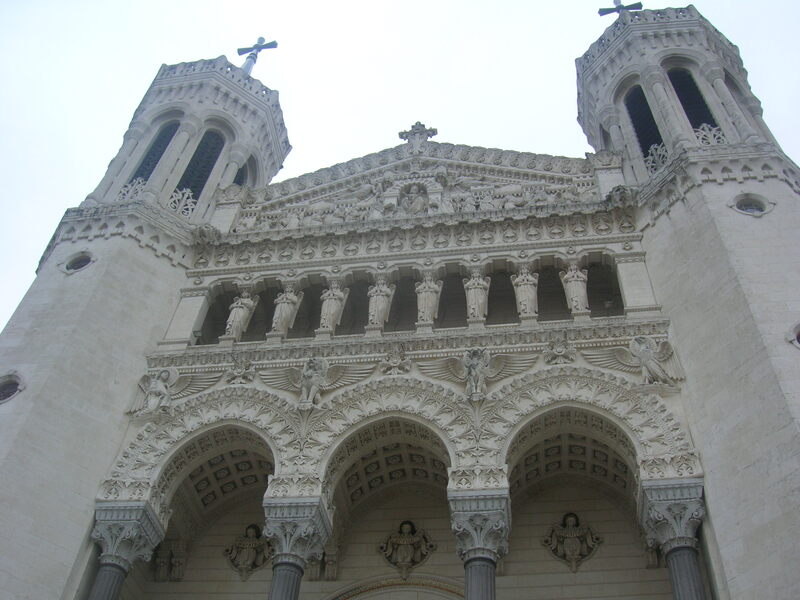 First thing we did was walk over the river, past Old Lyon, to the Basilica of Notre-Dame de Fourvière . 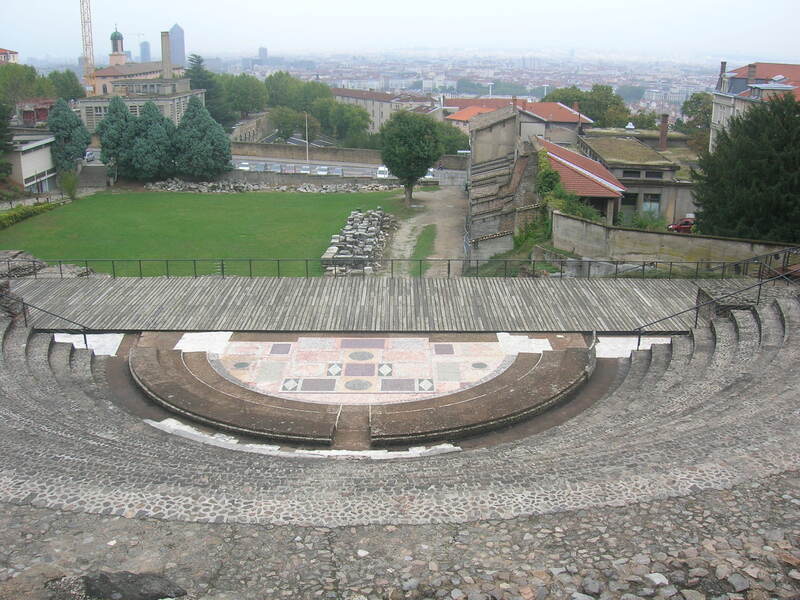 Besides the food, Lyon is famous for Guignol, the first glove puppet (puppets were pulled by strings before Guignol). Laurent Mourguet created the puppet in 1808 to draw people to his business of pulling out teeth, which he did in a stall in the market (and you thought the dentists now are bad). Old Lyon is peppered with posters and souvenirs featuring Guignol. 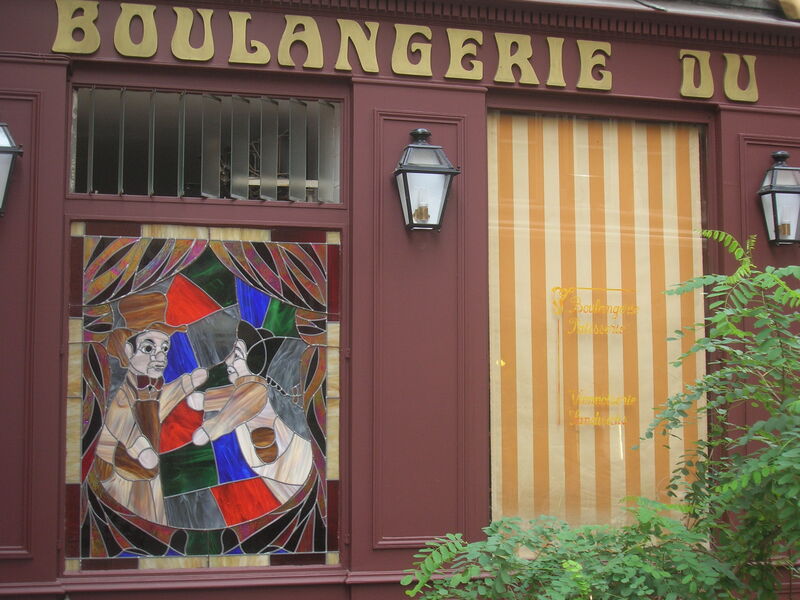 There’s even a small Guignol museum right near the basilica. 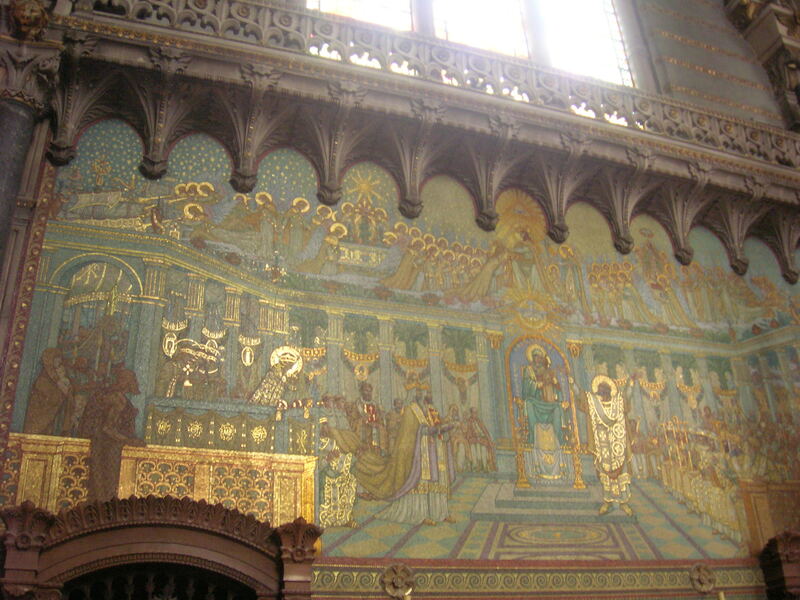 The basilica, which can be reached by a funicular, is beautiful with its stained glass windows and ornate paintings. 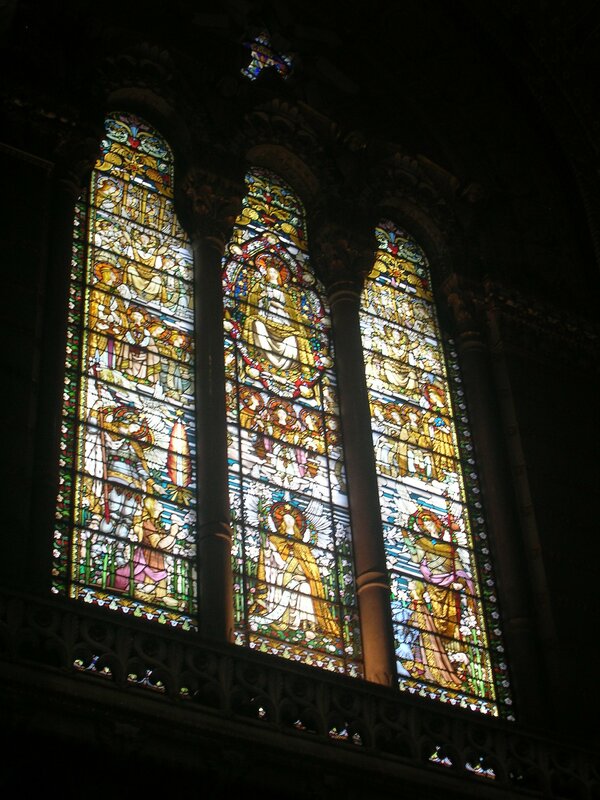 From the basilica, visitors have a wonderful view of the river and the entire city. Unfortunately it was quite foggy so we don’t have any good pictures of the views. 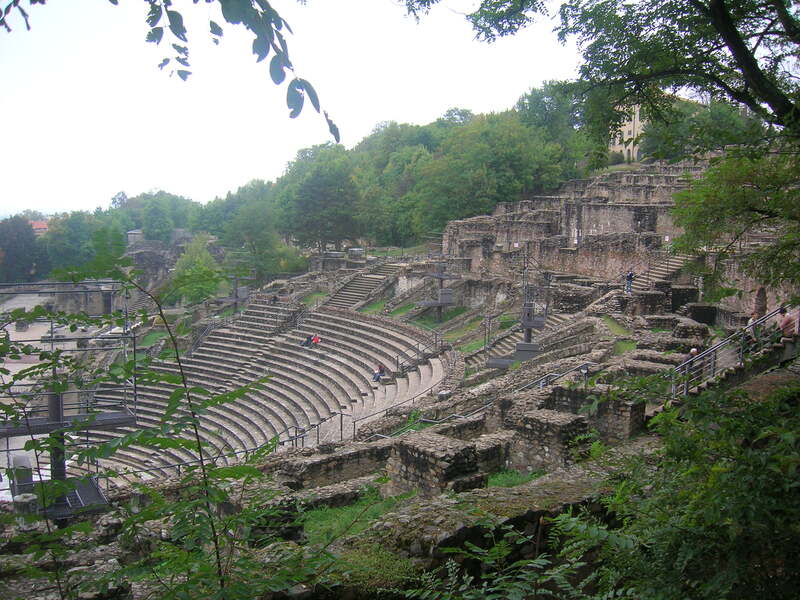 Within walking distance from the basilica are the old Roman theaters. 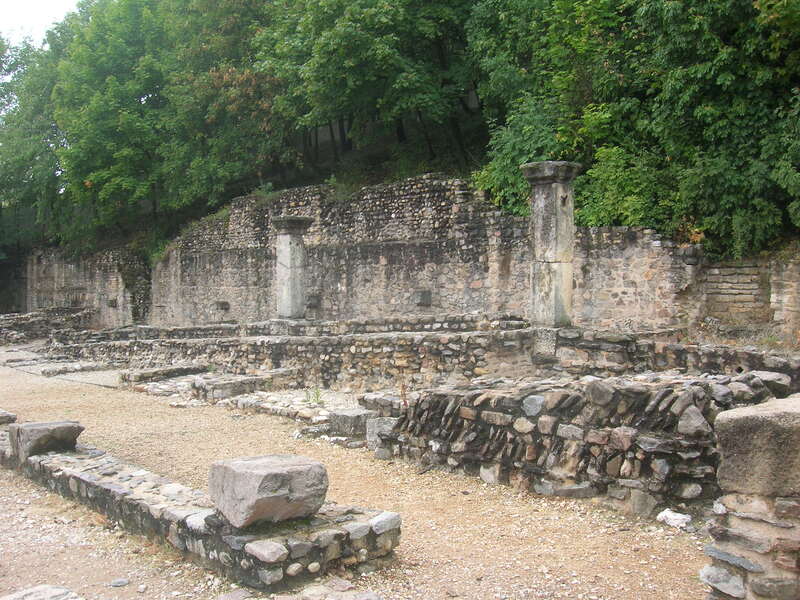 We were able to explore the old theaters and ruins in peace, without anyone else around. A shroud of mist covered the entire area, giving it an especially haunting feel. 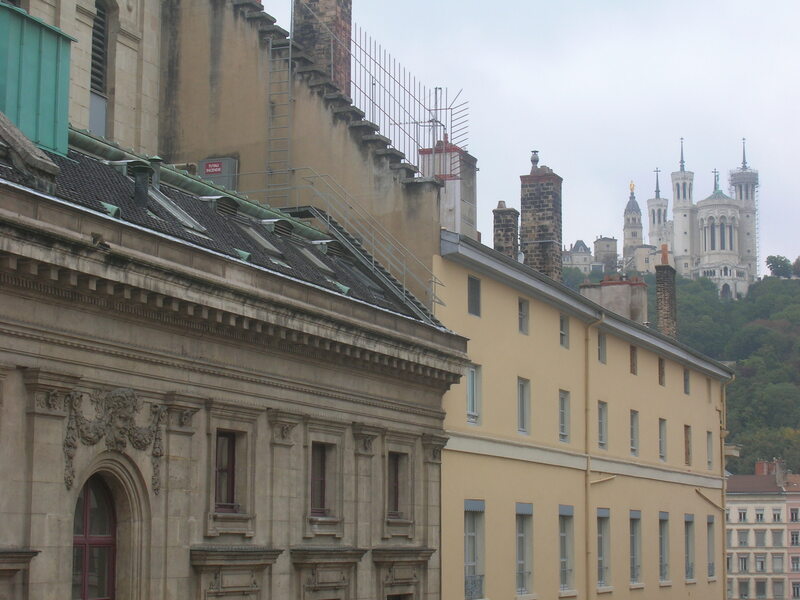 In such a beautiful city as Lyon, between two world class attractions, we ran across no one. And that was why we went. 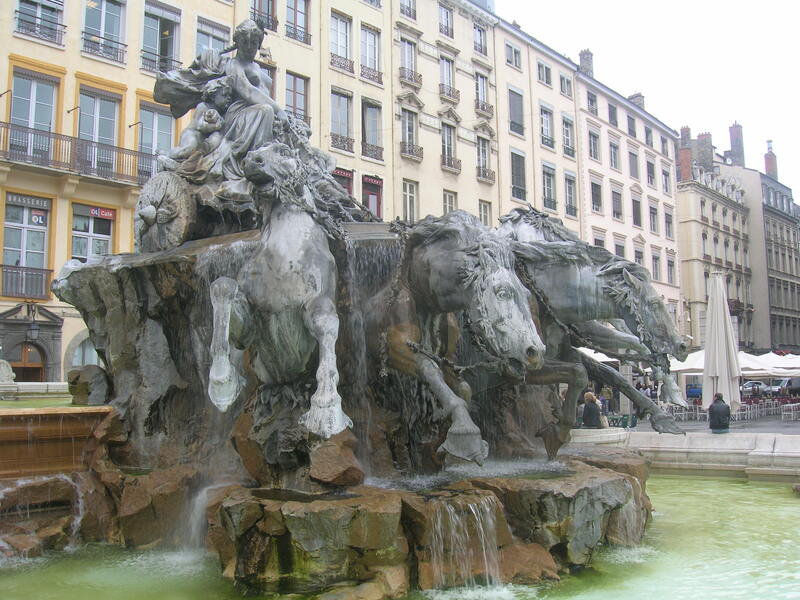 What are you eating in Lyon? It’s been years and years since I was there, but as I recall offal is one of their specialties. Your pics really capture the place! My eating in Lyon wasn’t that successful. Didn’t do as much research as I should have regarding the restaurants available! Will post about it soon.